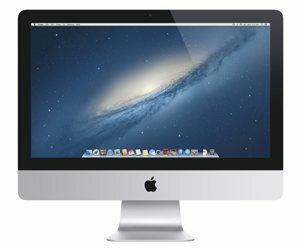 Click the button below to add the Apple iMac 21.5-Inch Retina 4K (3.1Ghz Core i5 Quad Core, 8GB RAM, 1TB HD) MK452LL/A to your wish list. The individually calibrated wider color gamut display delivers 25% more available colors to the screen for more vivid, true-to-life color. Full lamination of the display cover glass creates a brilliant display that’s 75% less reflective. 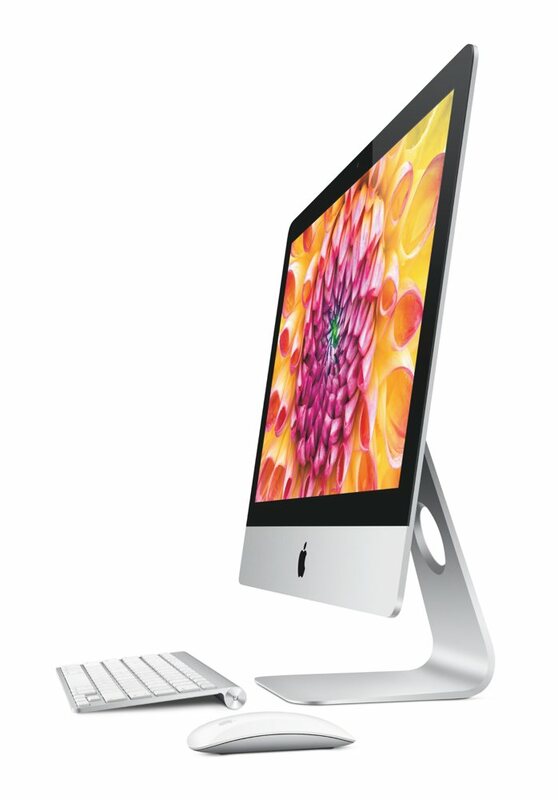 The 21.5-inch iMac is just 5mm thin at its edge and features a bright display with 75 percent less reflection. 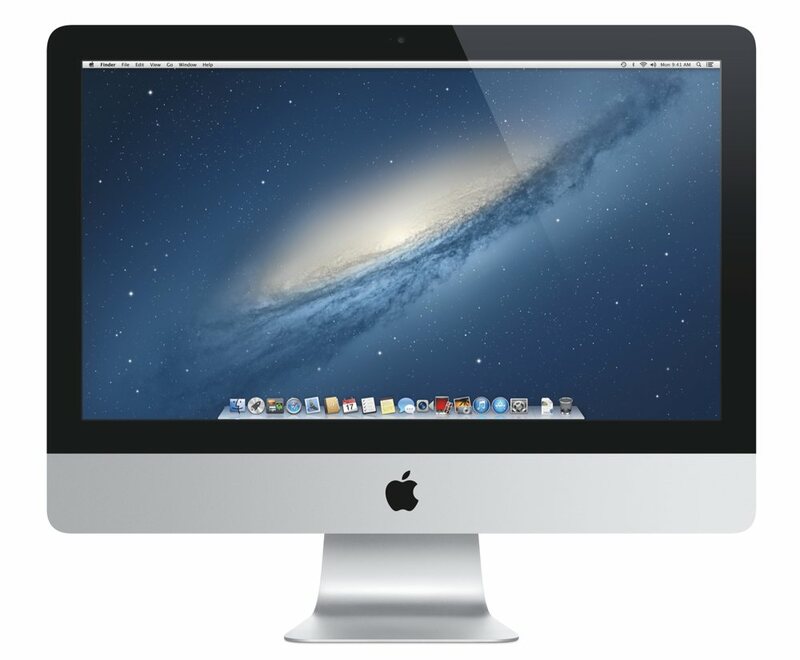 This version of the 21.5-inch iMac features a fifth generation 3.1 GHz Intel Core i5 quad-core processor (see full specifications below). Since OS X is designed to take advantage of each core, the fifth-generation Intel Core i5 quad-core processor (based on the latest Broadwell architecture) captures every bit of performance from the processor. When you need more power for a processor-intensive application like Aperture or Final Cut Pro, Turbo Boost 2.0 automatically increases the speed of the active cores. And by shifting core frequency in small increments, Turbo Boost allows the processor to manage performance without sacrificing efficiency. The iMac supports ultrafast 802.11ac Wi-Fi. When connected to an 802.11ac base station — including the new AirPort Extreme and AirPort Time Capsule — wireless performance is up to three times faster than with the previous generation. And your Wi-Fi range improves as well. Nothing will distract you from what you're viewing on the iMac's 21.5-inch display thanks to the innovative display design that reduces reflection by 75 percent while maintaining brilliant color and contrast. Additionally, in-plane switching (IPS) technology gives you a bright picture with excellent color from nearly any angle while the LED backlighting offers instant-on, uniform brightness. Delivering an amazing 20 gigabits per second of transfer speeds in both directions, the ultrafast and ultraflexible Thunderbolt 2 port allows you to move data up to 20 times faster than with USB 2.0 and more than 12 times faster than with FireWire 800. You can also daisy-chain up to six Thunderbolt-compatible peripherals without using a hub. Thunderbolt also supports DisplayPort for high resolution displays and works with existing adapters for HDMI, DVI, and VGA displays. The iMac also comes with four USB 3 ports, enabling you to connect your external hard drive and transfer large files in seconds instead of minutes with speeds up to 10 times faster than USB 2. And you can connect all your USB-compatible devices, including your iPhone, iPad, iPod, or digital camera.